It would be difficult not to notice that everyone’s favourite brown-suited office worker David Brent is back. Ricky Gervais writes, directs and performs in David Brent: Life On The Road, which follows the sales rep’s debut UK tour (a venture that’s success is surely questionable from the outset). As Brent embarks on his rockstar escapade, he is accompanied by rapper Dom Johnson (played by Ben Bailey Smith, who is also stand up comedian Doc Brown, known by many for his recents efforts in Greg Davies and Alex Horne’s Taskmaster on Dave). Bailey Smith and Gervais’s partnership came about a few years ago now, with the unveiling of Brent’s single Equality Street for Comic Relief in 2013, and their onscreen relationship is very interesting; it epitomises two undeniably different backgrounds complimenting each other, but also often clashing. There is an abundance of familiar faces scattered throughout, including Man Down‘s Roisin Conaty and Ashley McGuire, and Diane Morgan, aka Philomena Cunk, who plays publicist Briony. Brent’s band also features Andy Burrows, former Razorlight drummer and half of Smith & Burrows, along with Steve Clarke and Michael Clarke. And the songs are good. The lyrics are unanimously awful, skirting on the wrong side of bad taste, and utterly hilarious. It surely isn’t ignorant to assume that the repressed guilty laughter coming from the audience I sat in is reminiscent of the reactions in every cinema auditorium across the country. Amongst others, Mandeep Dhillon is particularly brilliant as modestly sympathetic receptionist Karen Parashar, alongside humble and ever-forgiving Pauline Gray (Jo Hartley), both of whom are left behind at the Lavichem office as Brent goes in pursuit of his rockstar dreams, although it unfolds that these are not the only friendly faces the disrespected and under-appreciated Brent will encounter. Life On The Road is ultimately a showcase of the genuine goodness and care for the welfare of others that we can hope that every person holds. This portrayal of human nature at its most fundamental allows the tensions of Brent’s disjointedness to soften and shows the sales rep in his most vulnerable, yet endearing light; of course he is defensive and guarded: he has been ridiculed and wounded by many. This attempt to reignite Brent’s failed ‘rock career’ shows the man to be genuinely floundering (he explains his recent breakdown whilst implying that therapy is somewhat below him); he is nostalgic for something that simply never was. 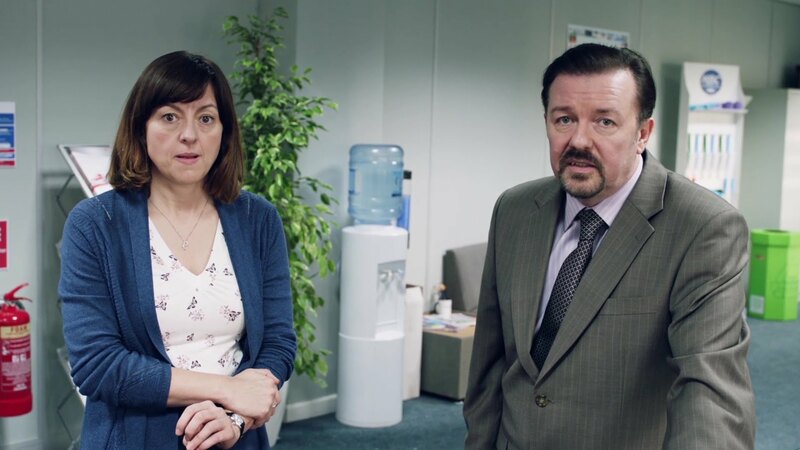 And yes, Brent’s plight is a sad and often cringeworthy watch but as is often the case with Gervais’ comedy, the prevailing feeling is bittersweet, with audiences feeling a faint sense of hope that emulates the character’s own relenting enthusiasm. Ricky Gervais has recaptured the essence of The Office in an adventure that was probably not needed but is certainly not unnecessary, and I am grateful that the character of David Brent has been revived, with live dates for next year having already sold out.